As we know, at this year’s Google I/O several devices featuring the company’s Android Wear were launched. Android Wear is a compact version of Google’s Android OS. It is designed to be used in wearables such as smartwatches. Out of the three smartwatches announced, Motorola’s Moto 360 is the one that seems to be in the most favor amongst consumers. Featuring a circular design. the watch most closely resembles traditional watches out of the three Android Wear smartwatches out there. But information is quite limited on the Moto 360. For a detailed comparison of all the Android Wear devices out there, click here. Little detail is available about the Moto 360. Earlier estimates of it’s price put the price tag on the device around $ 250. In addition, the device is to be launched with the company’s Moto X+1 smartphone, and will be launched through the Moto Maker, giving diverse customization options to users. Well, a Chinese site has just listed the Moto 360, and the price clearly surpasses expectations. Chinese Retailer Lists The Moto 360 For A Pocket Heavy $ 450 (2800 Yuan). The Moto 360 clearly comes out on top of the other Android Wear smartwatches available out there. Featuring an elegant design, the device seems to be aiming for the premium look and feel. In addition, there have rumors of the device coming with Sapphire glass and with a wireless charger. In fact, the Moto X+1 is also rumored to come with a pedometer, to enable connectivity with the Moto 360. All of these seems to have driven the price tag up for the device though. The Chinese retailer jingdong list the device for 2800 Yuan, which translate into $ 450. This is a rather high price tag for the device, since LG’s device is to cost around $ 229 and Samsung’s Gear Live around $199. Thats all we have right now folks. 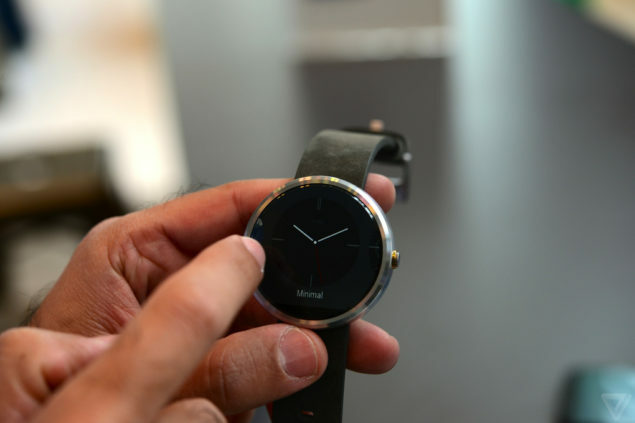 Would you be willing to pay $ 450 for the Moto 360? Let us know in the comments section.